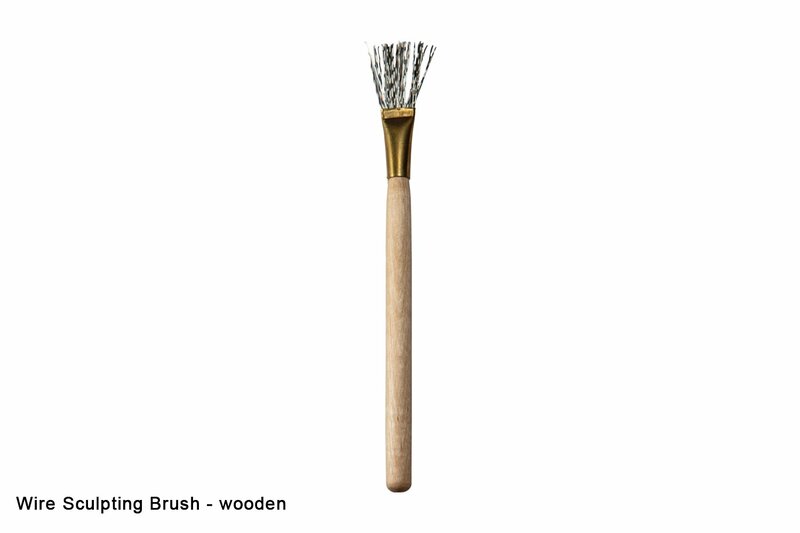 This wooden handled wire brush is strong and lightweight. These brushes can be used on clay, ceramics, pottery and even for cake decorating. The bristles can be shaped or bent, adjusted and even cut (using side-cutters) to customise your own width and shape. They are useful for working with modelling materials to target and smooth out hard to reach areas, or for the creation of textures within the modelling material. Sculpture Wire brushes allow you to create interesting textures within modelling materials, to reach those tricky areas and for small detail work. The bristles are strong but bendable, allowing for these brushes to be adjusted or customised to suit your preference. Use side cutters to clip any unwanted bristles away. Create fine lines and dots on your modelling material, or scrape and brush away unwanted / excess material from the surface. This item has 198 views.